ADVANTAGE features fully integrated PCI compliant credit card processing. Process is fully automated – No manual entry required! 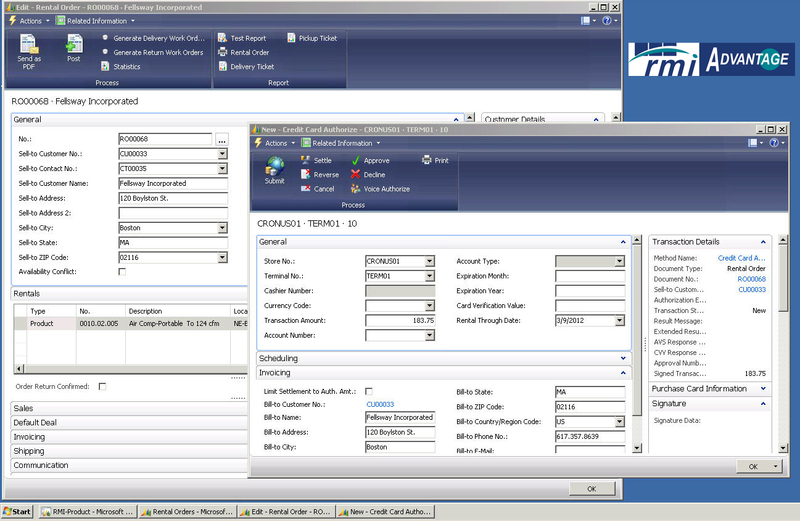 Use this link for a demonstration of the ADVANTAGE Credit Card processing solution. For more information, contact us at Sales@rmiusa.com or 800-252-5011 for additional details. With over 30 years’ experience serving the rental, sales and services industries, we have helped many businesses solve common challenges. Learn how RMI and ADVANTAGE can help you. March 11, 2014 in About ADVANTAGE, Financial Management, Rentals, Sales, Service, Solutions to Industry Challenges, Tips For Business.